The consequences of bullying are vast and are almost always negative. When bullying occurs, people are hurt and can be emotionally scarred for life. First, let's define a bully. As defined by Merriam-Webster, a bully is someone who is habitually cruel to others who are weaker. A bully specifically attacks others habitually with the intent to hurt another person. What is so harmful about this? The bully’s intent to hurt you makes you constantly feel like someone is out to get you. The stress from this constant worry can be extremely bad for you, both physically and mentally. However, the bully can only do to you what you allow him to. I know, this may sound cliché but it is true. So, you may wonder, why is this person out to get me? What did I do? Simply put, there are two reasons for this. Firstly (and this is the most common reason), he is jealous of you and believes that he has to prove to you (or the world) that he is better than you. This is why he is specifically attacking you- you are either an easy target, or just different. The bully feels like you need to be torn down for him to be recognized. The other reason why he targets you is that he is a psychopath who just enjoys hurting people. This is not very common, and I would strongly suggest that you seek help if you believe this is the reason why he's targeting you. But most of the time, what he wants to prove to everyone is that he is of higher status than you. By status, I mean social rank and how people look at you. So what can you do to stop him? You have to be the person of higher status. This is key. Think about stars like Hillary Clinton, Will Smith, Brad Pitt, and George Clooney. These people have different mindsets. They don’t focus on the negative experiences and focus on the positive. They feel like they are the best and this is exactly the mindset you need to have when dealing with a bully. The reason why he is targeting you because he is insecure. He tries to prove his higher status by attacking you, and if you react by crying or getting depressed, you are giving him exactly what he wants. He will continue attacking you to get that feeling of being superior by making you feel weak. This is not the way to respond. In fact, do not respond at all. If you do respond, picture him or her as a child who does not know what she is doing. If you come from a place of higher status and act as if he is insignificant, he will stop bullying you because that will only further expose his own flaws. He is bullying you because he thinks you are weaker. The answer to stop his bullying is simply, to not be weaker. This method of exhibiting higher status is a way to show that. Some popular ways to counter bullies are learning martial arts, getting stronger by going to the gym, and befriending tall people. These are all ways to show that you are of a higher status. That's why thesemethods also work. However, I don't recommending wasting hours of your life learning to throw a proper punch, when you can simply change your mindset. By changing your mindset to one of abundance and superiority, you replicate the effects of the other methods listed previously. Keep in mind that this is one of the best ways to deal with someone like this, but there is always the next option of getting help. Tell your friends. Tell your family. Get someone to help you. Remember that a bully is a person and is subject to the same emotions as you. Thank you for reading, and good luck. Never let a bully take control of your life. 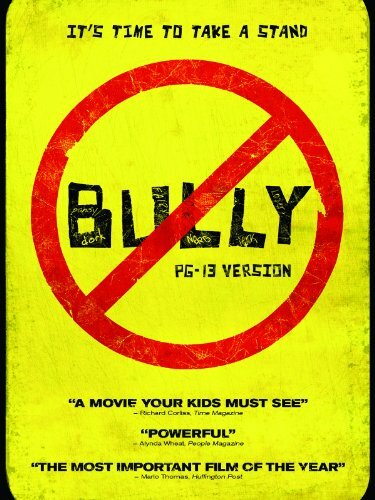 This film shows how horrible bullying can be. Please keep yourself aware of what bullying can do to children.